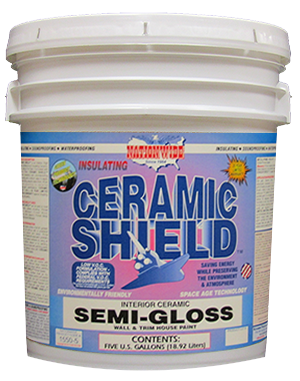 Superior quality 100% acrylic insulating ceramic wall, ceiling and trim paint. Excellent adhesion, high hide, excellent scrubbability and durability. A semi-gloss finish recommended for kitchens, bathrooms and trim. 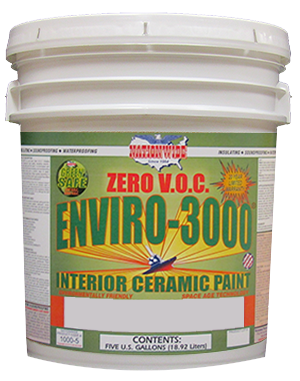 Excellent for walls and ceilings on most interior surfaces. Weight per Gallon: 11.2 lbs. Interior Modified Acrylic Insulating Ceramic Flat Finish Wall and Ceiling Paint. Interior Zero V.O.C. 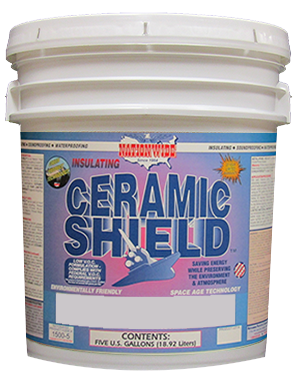 Acrylic Insulating Ceramic Paint. Flat, Satin & Semi-Gloss Finishes. Great for Walls, Ceilings & Trim.